Sun Of Jamaica is always visible when we meet Oliver Bendt and his group Goombay Dance Band! At the end of the 1970s Hamburg singer Oliver Bendt created the successful band with an exotic style. It mixes a little Reggae with much of the unrestrained Caribbean joy of life and brings along a musical mixture from sun, temper, fantasy and fire. During his three year stay on the Caribbean island of St. Lucia, Oliver saw the possibility of bringing the philosophy and kind of nature of the local people as a “souvenir” to Europe. The result was called Goombay Dance Band. The name originally comes from the Caribbean Goombay which is a small bay near by St. Lucia. The band landed in Europe with Sun Of Jamaica the hit of the year, which went over the counter ten million times until today. Further big hits were followed. Aloha oe , Seven Tears , Eldorado are still sung along and hummed melodies everywhere in the world. With Seven Tears Oliver Bendt conquers the British Chart in 1982 hitting and holding No. 1 position for 3 consecutive weeks. He sat enthroned as up to that date there had been no other English singing German artist reached more (entry in the Guinness Book of the Records). In addition Goombay Dance Band attained numerous honors: their recordings have became three times platinum and twelve times gold after a quarter century of music history! 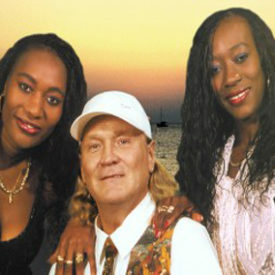 In 1995 the band produced an album Caribbean Beach Party in Denmark with CMC records. This album has been released in Germany under the title Island Of Dreams . Since 1979 the Goombay Dance Band is on the way. 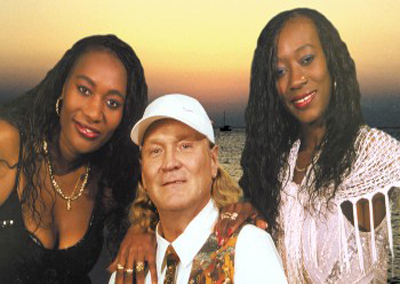 Today Oliver performs on stage with two beautiful Caribbean ladies Anna and Mary. A new album was also planned to be released in early 2007.